In line at the U.S. border into Canada. 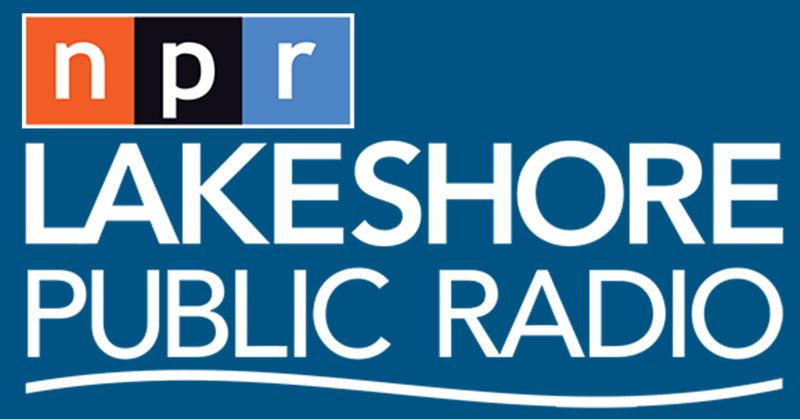 After talking to people in the border town of Progresso, Mexico last winter, Lakeshore Public Radio's Sharon Jackson traveled to the U.S. - Canadaian border to learn about people's experiences going in and out of the country. NIAGARA FALLS, ONTARIO, CANADA - In the aftermath of families getting separated at the U.S. - Mexico border, Lakeshore Public Radio traveled to the U.S. - Canada border to see how the environment is there. It was in Niagara Falls Ontario, Canada where Lakeshore Public Radio Reporter Sharon Jackson talked to people about their experiences crossing the border from the U.S. into Canada and Canada in the U.S.
Jackson went to Canada with her friend and travel partner, Denise Dougherty. In the audio story that aired on Lakeshore Public Radio you hear Jackson and Dougherty cross the border into Canada and observing the conditions at the northern border before arriving in Niagara Falls to interview people about their experiences. 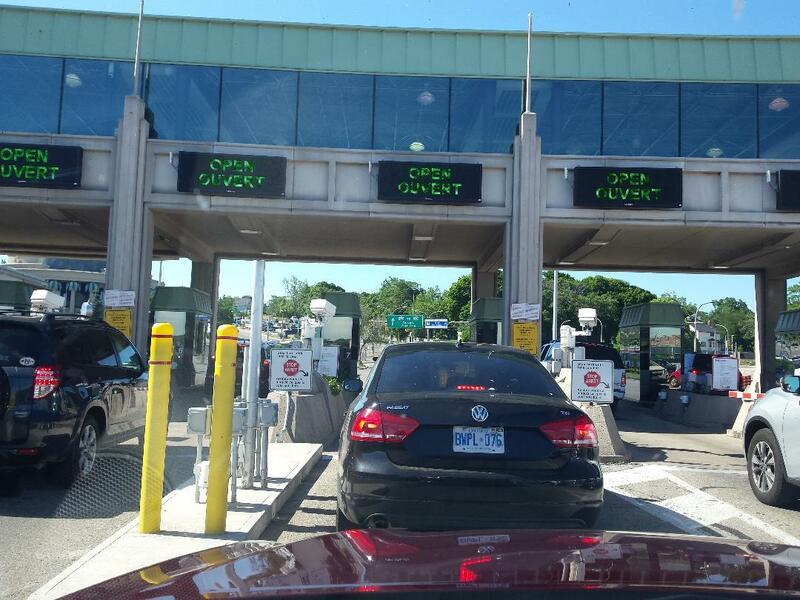 Jackson observed vehicles waiting in line at the border from all over the United States, as indicated by the license plates, before meeting with the Border Services Officer into Canada. On the Canada side of Niagara Falls, there were people from all over the world, including black people, Indian people, Asians, Muslims, Eastern Europeans, Americans and Canadians, just to name a few. We work our way down to the Falls by way of the Falls Incline Railway, to enjoy the view and to talk to people. The Falls Incline Railway is widely used and is a good place to engage people in conversation. So I initiate my first interview with a man named Louis Medina, who is from New York. Marilyn Leroux, from Binbrook, Ontario, Canada also spoke to Lakeshore Public Radio. She says she has been to the states several times and she says these days crossing the border into the United States is a little more complicated. John, who is a young looking Caucasian man, originally from Hong Kong came to visit Niagara Falls from where he now lives in South Africa. Salem Ali, a family man from New York, was in Niagara Falls taking he kids on a vacation and he offered his experience going from country to country. He said that he didn't have any trouble crossing the border into Canada and didn't anticipate any going back to the United States.